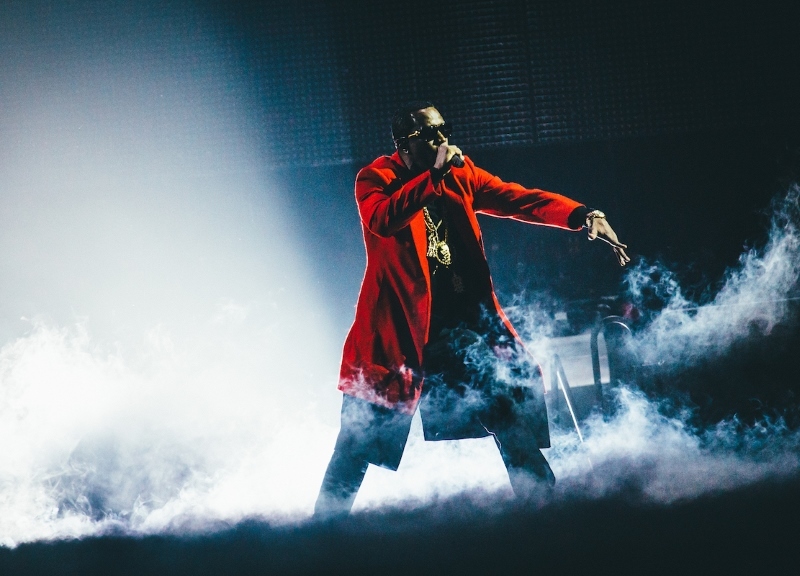 Last Night in Dallas, Puff Daddy and The Bad Boy Fam Gave Their Fans The Jolt They Needed. Showmanship goes a long way in this world. In certain situations, it’s all you really need. That’s a lesson not lost on Hip Hop’s Greatest Showman, one Sean “Puff Daddy/Puffy/Diddy/P. Diddy” Combs, a man whose entire empire (one that spans the realms of music, film, fashion, booze and more) has been built on the idea that spectacle supersedes all else. Combs knows very well the value of putting up a strong front — even when that means coming out behind on the back end, as he says is the case with the Bad Boy Family Reunion Tour he’s currently stewarding across the country. When you’re worth $750 million, as reportedly Combs is these days, forcing adulation-as-payment to make sense on paper isn’t a requirement, it seems; it’s just the cost of doing business. And last night at the American Airlines Center, as this showcase made its way to Dallas, it provided massively entertaining returns. Less a concert than a showcase, the ambitious, big-on-flair and well-choreographed affair featured 19 individual chart-topping performers (Diddy himself, plus Bad Boy Family members Mase, the four-piece 112, the three-piece Total, the three-member The Lox, Faith Evans, Carl Thomas, French Montana, Lil Kim and Black Rob, plus surprise guests DMX and hometown icon Erykah Badu) along with at least eight back-up dancers, no fewer than three back-up singers, at least five back-up musicians and/or DJs, three video interludes, multiple pyrotechnic explosions and a borderline excessive number of costume changes for court jester Combs, all served on a bed of heavy nostalgia. It was a whirlwind of bangers — the night’s roster boasted some 50 hit singles between them (just look at the set list posted at the bottom of this page) — as no individual act remained alone on stage for more than five songs (most of which were distilled to their 90-second best) in a row. The show was also meticulously planned out, with no between-act silence exceeding half a minute, and with the performers well-accustomed to their cues and a stage design that either lifted them into or dropped them out of sight as needed. It wasn’t a flawless effort; the backing beats at times got lost in the overall sound, at least a few of the acts were too reliant on piped-in vocal tracks to carry their borderline lip-syncing loads and, in his one-off guest appearance, the non-Bad-Boy-affiliated-but-of-the-same-era DMX in particular appeared too lost in the turn-up to remember the song-change prompts in his nonetheless well-received medley. But, man, it sure was fun watching the acts that defined an era of hip-hop — one in which the genre unapologetically forced itself into the mainstream, well past where its sometimes hokey pop-rap forebearers had — flashing once more the talents that catapulted them into that position, more often than not with the very same aplomb of their younger years that made them such shining stars in the first place. Perhaps the biggest highlight of the night, though, was what Diddy himself referred to as “a dream come true” as he introduced Dallas’ own Erykah Badu to the AAC stage to sing her breakthrough single “On & On” and her much-adored, if infrequently performed, classic torch song “Tyrone.” Unlike DMX’s cameo, which had been widely reported in the media earlier in the week, Badu’s was an honest-to-goodness surprise for the majority in the house. And the Queen of White Rock didn’t disappoint, living up well to the thunderous roar that welcomed her. Earlier in the night, the Comedy Central series she’s music supervising, Legends of Chamberlain, made its television debut — at right around the same time when Diddy kicked this 2.5-hour offering off, actually. It would seem as if passing that milestone contributed to her high spirits at this show, as she shouted out at least a dozen Dallas neighborhoods and gleefully shimmied and posed for the many cell phone cameras pointed in her direction. Between the song selections and their general demeanors, that was something each act on this bill was clearly willing to do, too, much to this undeniably crowd-pleasing show’s benefit. As the performers came and went, that was this night’s common thread. Some 20 years on, the Bad Boy Family still indeed proceeds by giving the people what they need. Another word for that? Showmanship. Previous ArticleThings To Do On Thursday, September 15.